Ottawa Humane Society: All together now! One of the most important things that shelters can do to decrease illness in their environment is to decrease stress—and one of the best ways we can do this is by getting cats out of their cages and providing environmental enrichment. 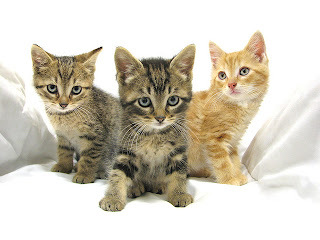 Domestic cats are social animals—most of them really benefit from being housed with others, provided there is sufficient space, easy access to feeding and elimination areas, and an adequate number of retreats and rest places. At the Ottawa Humane Society, we have made sure we have provided all of this in each of our community cat rooms and condos! We have also enhanced our health and hygiene protocols to keep cats in group housing healthy. Materials used in these rooms are either highly cleanable, such as our metal cat trees or washable cat beds, or disposable, like our Hide and Perch boxes. Cats are tested for disease, vaccinated, and receive a full health-check prior to being placed into group housing. And, although it is still possible for a cat to fall ill in a community cat room, shelter reports indicate that illness break-outs in group housing situations tend to be less severe. We do recognize that not all cats are social butterflies, so we still maintain appropriate single housing for these cats! Shelters also overwhelmingly report an increase in adoptions when they implement group housing, which means more cats finding their forever home faster than before. So, while group housing involves considerable investment—from taking time to select cats that will live well together to providing enhanced health and hygiene resources—we are thrilled that we are providing a brighter future for so many more animals that come into our care!